Avoid extra trips and stay on track with a 2-pack of Original HP 564 black ink cartridges (C2P51FN). 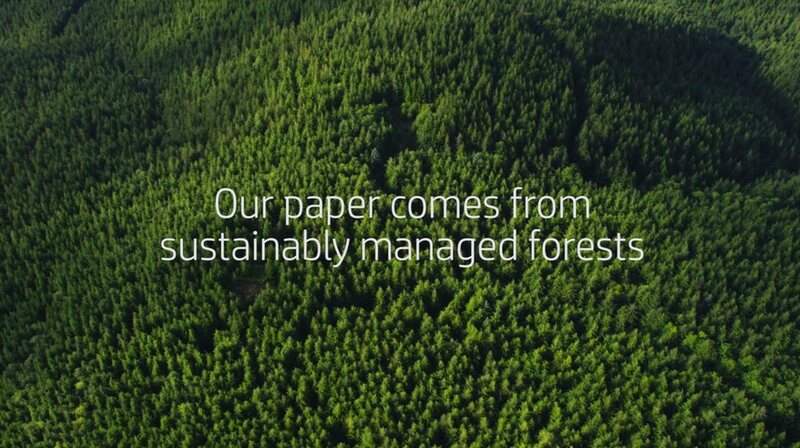 Use Original HP ink with your HP printer and get the reliability of sharp, laser-quality text. 2-packs provide the convenience of extra ink, so your printing can go uninterrupted. Original HP 564 black ink delivers sharp black text and striking grayscale images for professional-looking documents that resist fading. Help ensure outstanding prints, every time, with Original HP 564 combo packs. HP 564 black ink cartridges work with: HP DeskJet 3520, 3521, 3522, 3526, HP Photosmart 5510, 5512, 5514, 5515, 5520, 5525, 6510, 6512, 6515, 6520, 6525, 7510, 7515, 7520, 7525, C6340, C6350, B8550, D7560, eStation, Plus, Premium, Premium Fax, Premium TouchSmart Web, HP OfficeJet 4610, 4620, 4622. With the HP 564 black original ink cartridge 2 Pack, you can print easily and affordably. Convenient individual ink cartridges can be replaced in your printer one at a time as needed.  Page yield of HP 564: up to 250 pages black per cartridge. Your HP printer requires five HP 564 original ink cartridges. Don’t forget to also purchase the HP 564 or 564XL photo, cyan, magenta and yellow original ink cartridges. What’s in the Box: Two new Original HP 564 (C2P51FN) black ink cartridges (CB316WN). Original HP 564 black ink cartridge technology helps to prevents printhead corrosion, so your grayscale images and black text look precise and professional, every time. For an even greater value, consider the HP 564XL high yield black original ink cartridge to print more and save more. Each cartridge yields up to 250 pages. 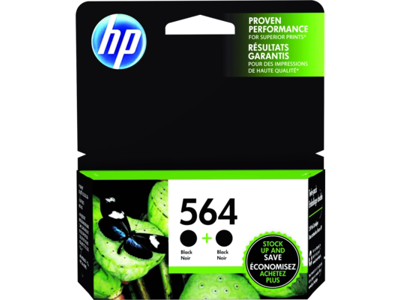 Your HP Photosmart, Deskjet or Officejet printer requires five HP 564 ink cartridges. Get the other 564 ink cartridges, including: Photo (CB317WN), Cyan (CB318WN), Magenta (CB319WN) and Yellow (CB320WN). 5510, 5511, 5512, 5514, 5515, 5515 - B111h, 5520, 5522, 5524, 5525, 6510, 6512, 6515, 6520, 6525, 7510, 7515, 7520, 7525, A532, B010, B109, B110, B8550, B8558, B8850, C510, C510a, C5324, C5370, C5373, C5380, C5383, C5388, C5390, C5393, C6324, C6340, C6350, C6375, C6380, C6383, C6388, D5430, D5445, D5460, D5463, D5468, D7560.